Located in south-central Arizona, Maricopa County is the most populated county in the state, and the fourth-most populated in the nation. The City of Phoenix is the county seat, the state capital and sixth-most populated city in the U.S. Included in the Phoenix-Mesa-Glendale, AZ Metropolitan Statistical Area, Maricopa county has a total area of 9,224 square miles, of which 9,200 square miles is land and 24 square miles is water. Click here for all zip codes covering Maricopa County AZ real estate, with associated cities and towns. Named after the Maricopa Indians, Maricopa has five Indian reservations located within its boundaries. Salt River Pima-Maricopa Indian Community and the Gila River Indian Community are the two largest reservations. 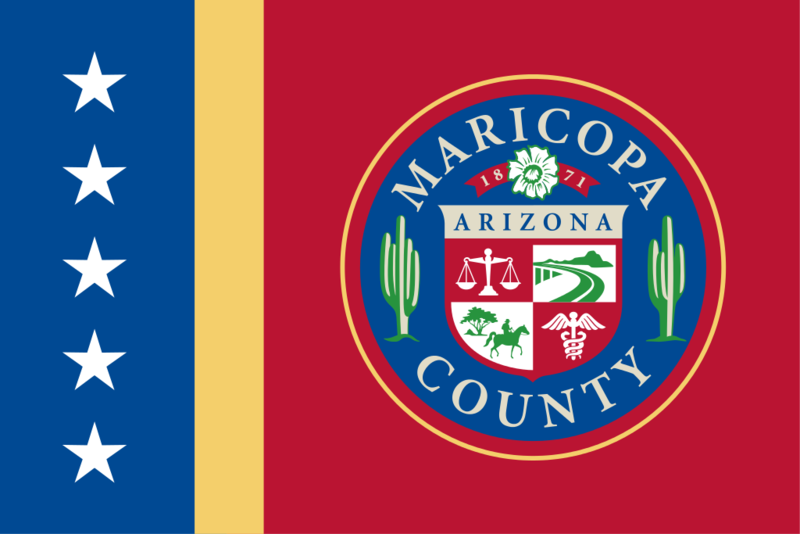 Counties adjacent to Maricopa County include: La Paz County - west, Yuma County - west, Pima County - south, Pinal County - southeast, Gila County - east and Yavapai County - north. Named after the Maricopa Indians, Maricopa has five Indian reservations located within the county boundaries. Salt River Pima-Maricopa Indian Community and the Gila River Indian Community are the two largest reservations. Cities within Maricopa County include: Avondale, Buckeye, Chandler, El Mirage, Glendale, Goodyear, Litchfield Park, Mesa, Peoria (partly in Yavapai County), Phoenix (county seat), Scottsdale, Surprise, Tempe and Tolleson. Towns within the county include: Carefree, Cave Creek, Fountain Hills, Gila Bend, Gilbert, Guadalupe, Paradise Valley, Queen Creek (partly in Pinal County), Wickenburg (partly in Yavapai County) and Youngtown. Census-designated places within Maricopa County include: Aguila, Anthem, Arlington, Citrus Park, Gila Crossing, Kaka, Komatke, Maricopa Colony, Morristown, New River, Rio Verde, St. Johns, Sun City, Sun City West, Sun Lakes, Theba, Tonopah, Wintersburg and Wittmann. Unincorporated communities include: Ahwatukee, Chandler Heights, Circle City, Co-op Village, Desert Hills, Fort McDowell, Higley, Laveen, Liberty, Mobile, Palo Verde, Rainbow Valley, Sunflower, Tortilla Flat and Waddell. Buyers interested in Maricopa Couny AZ homes for sale will find many residential options to choose from, including gated community homes, golf homes, single-family homes, condos and townhomes. The median home value in the county is $191,700, with home appreciation at 17.50% over the last year. 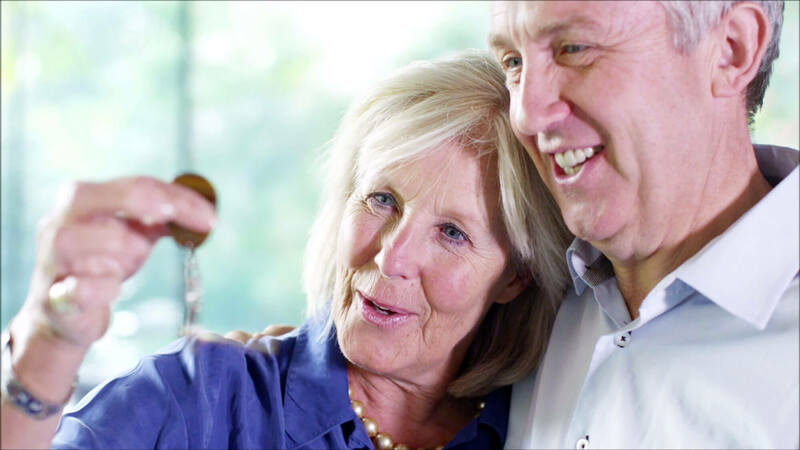 The median age of Maricopa County AZ real estate is 24 years. Renters make up 31.01% of population and 14.32% of houses and apartments are unoccupied (vacancy rate). As of 2014, the population for Maricopa County is 3,841,819 with 418 people per square mile (population density). The median age is 34.6. 50.71% of residents of the county are married and 11.81% are divorced. The average household size is 2.71 people. 33.45% are married with children, and 18.35% have children and are single. The county gets around 8 inches of rain per year and zero snowfall. The number of days with any measurable precipitation is 31. On average, buyers of Maricopa County AZ homes for sale enjoy 296 magnificent sunny days per year with July highs around 105 degrees and January lows around 37 degrees. The comfort index, which is based on humidity during the hot months, is a 46 out of 100, where higher is more comfortable. The US average on the comfort index is 44. The quality of a school district is often a top factor for parents considering where to live. Strong school systems attract new residents and help their cities prosper. Maricopa County is home to 58 schools districts serving over 700,000 students. School districts are classified as elementary districts (kindergarten- 8th grade), union high school districts (9-12th grades), and unified school districts (kindergarten through 12th grade). Click here for all school districts in the county. Home to 733 traditional public (non-charter) schools, click here for a directory of all public schools located within Maricopa County. Schools spend $9,030 per student. There are 20 students per teacher, 613 students per librarian, and 930 students per counselor. There are quite a few colleges and universities within Maricopa County, including: A.T. Still University, A.T. Still University School of Osteopathic Medicine in Arizona, University of Advancing Technology, Arizona College of Osteopathic Medicine, Arizona School of Dentistry and Oral Health, Arizona State University Tempe campus, Chandler–Gilbert Community College, Estrella Mountain Community College, Glendale Community College (Arizona), Herberger Institute for Design and the Arts, International Baptist College, Le Cordon Bleu College of Culinary Arts Scottsdale, Mesa Community College, Midwestern University, Arizona State University Polytechnic campus, Rio Salado College, Sandra Day O'Connor College of Law, Scottsdale Community College and Thunderbird School of Global Management. Top employers in the Phoenix-Mesa-Glendale, AZ Metropolitan Statistical Area (ordered by number of employees) include: Banner Health, Walmart, Wells Fargo, Fry's Food and Drug Stores, Intel Corp., Bank of America, Honeywell, JPMorgan Chase & Co., McDonald's, Bashas, Walgreen Co, Home Depot, Safeway Stores Inc, Mayo Clinic, American Express, US Airways Inc., Scottsdale Healthcare, Pinnacle West Capital Corp. (APS), Target Stores Inc., CVS Pharmacy Inc., Boeing Co, Uhaul, State Farm Insurance, Apollo Education Group Inc., SRP, St Josephs Hospital, Amazon, Verizon Wireless, Circle K, Charles Schwab Co Inc., Go Daddy Software Inc., Costco, Macy's, Dignity Health , USAA, Abrazo Healthcare, John C Lincoln Health Network, Marriott, PetSmart, Cigna Healthcare, Fedex, UnitedHealth Group Inc., Albertson's, General Dynamics, Phoenix Childrens Hospital Inc., Carl T Hayden VA Medical Center, Humana Inc., Discover Financial Services, Avnet, Lowe's, The Vanguard Group, Cox Communications Inc., Paypal Inc., Hilton, IASIS Healthcare Inc., Maricopa Integrated Health Systems, ABM Industries Inc., Sprouts Farmers Market Inc., Freescale Semiconductor Inc., Starbucks, Chandler Regional Medical Center, Aetna, Express Scripts Inc., Microchip Technology Inc., Kohl's Department Stores, Orbital Sciences Corporation and Gila River Gaming Enterprises. The unemployment rate in Maricopa County is 5.20%. Future job growth over the next ten years is predicted to be 38.80%. County sales tax rate is 8.30%. Income tax is 3.36%. The income per capita is $27,552, which includes all adults and children. The median household income is $54,385. Click here for a directory of medical facilities/hospitals serving buyers of Maricopa County AZ real estate. Valley Metro provides public transportation alternatives for the Greater Phoenix area. Click here for Valley Metro bus routes, Dial-A-Ride services and more. Phoenix Sky Harbor International Airport (PHX / KPHX),offers international and domestic flights from Phoenix. Another major airport is Phoenix-Mesa Gateway Airport (AZA / KIWA), which offers domestic flights from Mesa. If you are a buyer, it is my pleasure to assist you in finding the perfect home in the right neighborhood to fit your lifestyle, preferences and needs. I focus my Maricopa County real estate services in the following communities, but not limited to: Phoenix (Northwest), Anthem, Glendale, Peoria, Sun City, Sun City West and Surprise. If you are considering selling your current home, I utilize the latest real estate marketing tools on and offline to expose your Maricopa County AZ real estate property to the widest range of qualified buyers. My foremost goal is to market your property to sell as quickly as possible and for the best price! Whether you’re looking to buy, sell or invest, my mission is to provide exceptional customer service while assisting you throughout the transaction. My extensive knowledge of the Maricopa County AZ real estate market allows me to guide my clients intelligently. Please give me a call today, or fill out the online contact form, and let me know how I can best serve your real estate needs. I look forward to speaking with you!